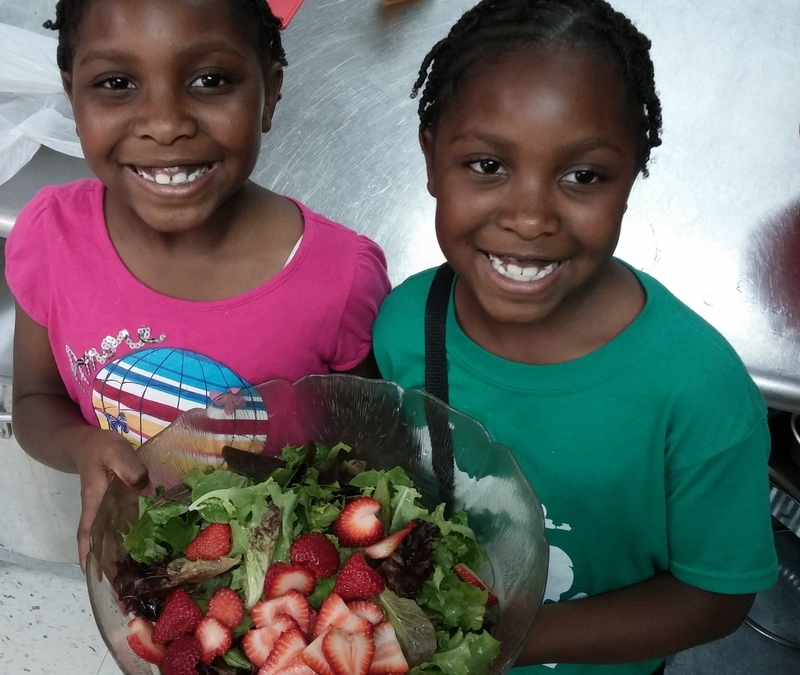 Focusing on the Southeast area of Grand Rapids, the organization Our Kitchen Table (OKT) is actively empowering community members to reexamine their food system and giving them the tools to improve their health and environment. Lisa Oliver King, founder of OKT, saw a need for a community based organization targeted toward people of color and low income families and individuals, particularly women, based on her work experience in public health. King teamed up with the Building Movement Project, an organization that develops and assists nonprofits seeking to create social change, to establish OKT. A couple of resources OKT provides include the Southeast Farmer’s Market, co-sponsored by the Kent County Health Department and Greater Grand Rapids Food System Council, and the Food Diversity Project. The market is open through November on Fridays from 3 p.m. to 7 p.m. at Garfield Park and through August on Saturdays from 11 a.m. to 3 p.m. at the Gerald R. Ford Academic Center. Bridge Cards (SNAP), Double Up Food Bucks, WIC Project Fresh, Cash Value Benefits, Summer EBT and debit cards are accepted. Vendors are primarily residents and women of color, who provide locally grown produce, crafts and personal care products. Events such as cooking demos and workshops ranging from urban foraging to homemade personal care products will take place throughout the market season. Yvonne Woodard, a vendor of the Southeast Farmers market, has been involved OKT for over eight years. She says the market is a great way for community members to meet, keep money in the community and make locally grown food more accessible. The Food Diversity Project aims to educate communities about food and environmental health disparities, while providing tools to build gardens for those with limited access to healthy food. Paula Woods, a participant of the project, signed up with OKT and attended classes on planning a food garden and food justice as a requirement to receive a garden. OKT provided her with all the necessary tools, installed the majority of the plants and assigned her a garden coach. Having a garden has given her a sense of accomplishment, says Woods, and she has learned a lot about things from food justice to composting. “I’m excited to grow my own food, as is my family. I have a 3-year-old grandson that lives with me and he loves to help me water the garden. My husband is a chef and he loves having the fresh herbs around for cooking,” Woods says. After receiving an environmental justice grant, OKT was able to conduct research on lead poisoning, childhood asthma and food power in Southeast Grand Rapids. “I didn’t want to be guilty of coming in and getting what we needed for the grant, but really building a foundation around creating an infrastructure that allowed women to do this work,” King says. Areas in Southeast Grand Rapids have been labeled as food deserts, meaning they have little to no access to healthy foods like fruits and vegetables. OKT rejects this term, stating that the label is determined by the lack of food retail or big chain grocery stores. OKT instead uses the term food apartheid: the intentional, systematic marketing and distribution of profitable, nutrient poor, disease causing foods to income challenged neighborhoods, mainly communities of color. By understanding terms like these, King says, community members have a better understanding of their resources and what barriers there are in order to bring about change. OKT works with residents to help them recognize what their food system is in their neighborhood and how they can improve it as individuals and a collective. The group also discusses the importance of food labels, the connection between food and the environment, and how to look at food from a long term perspective so residents can make their own informed decisions. Recently the organization and community members have taken action by working with the Linc Up Café, by negotiating menu items to accommodate health concerns in exchange for guaranteed customers. King says everyone should have input in their food system and diet, including those with public assistance. She says women of color who receive assistance are especially disenfranchised because it’s automatically assumed that they don’t know what’s best for their families as it relates to their diet. “We want to be seen as an asset to neighborhoods and our desired result is systemic change the community is interested in that will build a better quality of life,” Kings says.